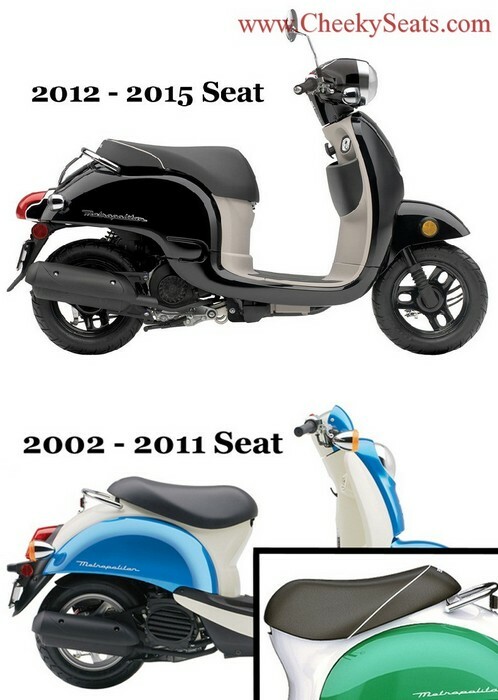 For Honda Metropolitan Scooter Seats; shown on 2002-2011 seat, scooter photo shows cover on 2012-2015. Will not fit the new 2016 Met. 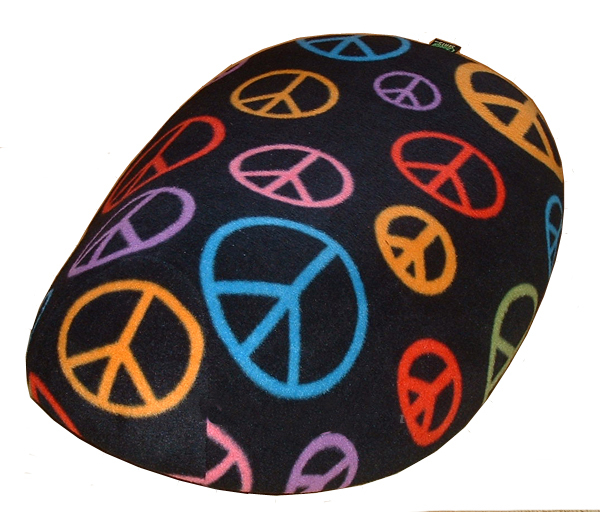 Our multi-color Peace signs scooter seat cover is sure to turn heads wherever you go! A Fleece seat cover is very comfortable to ride on and will keep your seat much cooler in the sun. It's also very cozy to ride on in cooler weather! 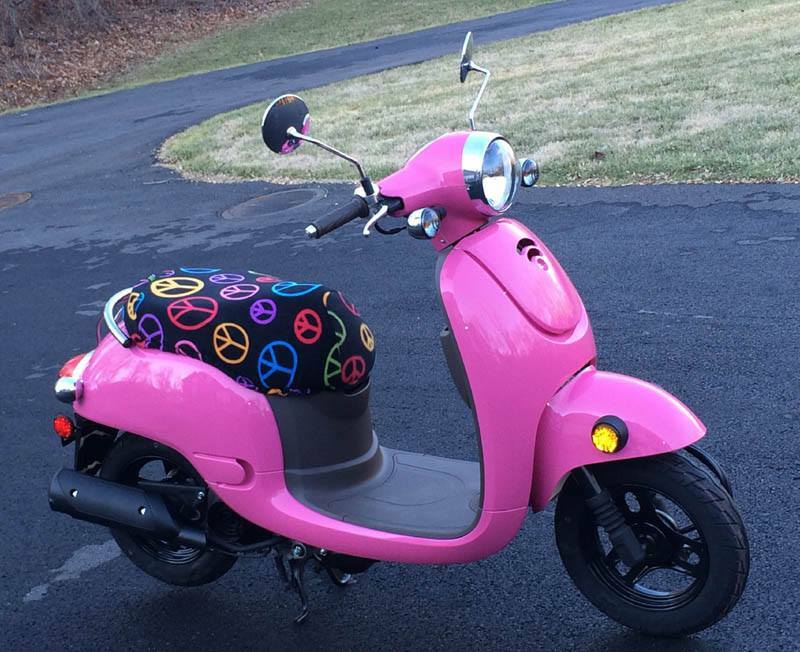 Because of all the different color peace signs, it also looks amazing on just about any color scooter. 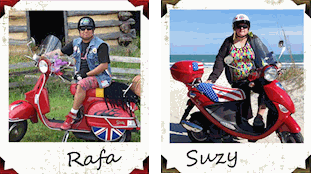 Our hand made fleece covers are an easy, carefree way to personalize your scooter. While fleece is not waterproof, it does offer some water resistance in light rain, and holds up well in the sun. You can toss it in the wash too, which we think is a great feature! We love fleece! Other colors are available, see our fabric section.